Envisioned as a beautiful oasis in the midst of a dynamic urban setting, the four towers of Optima Kierland are uniquely designed to bring nature into the residential space. Every element works to create this seamless flow, from high ceilings and windows that enhance the spaciousness of the rooms to private terrace gardens offering dramatic views the Westin Kierland Resort and Spa, McDowell Mountains and Pinnacle Peak. Inside and out, Optima Kierland promotes a serene sense of luxury of in the heart of an urban oasis. 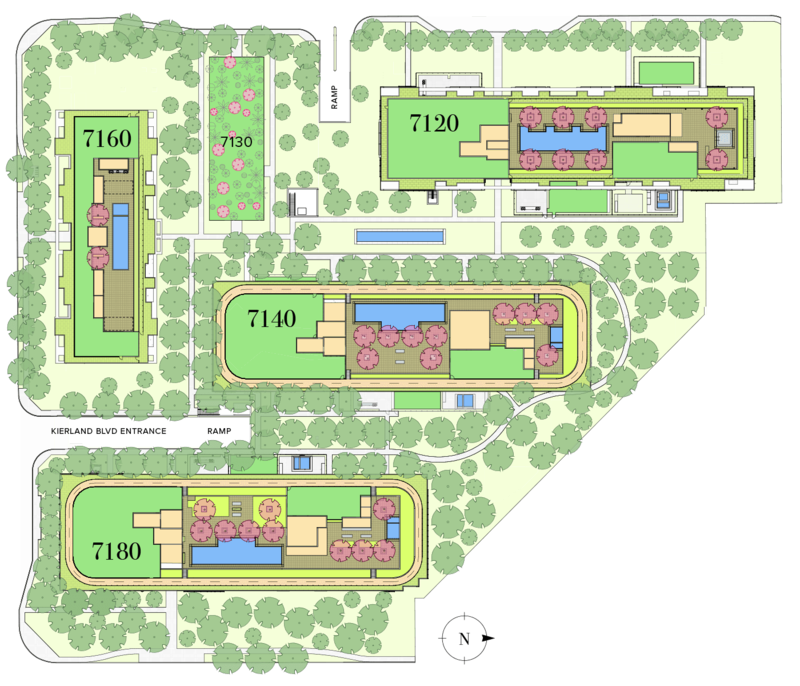 The landscape and environment shapes the inspiration of every Optima community — and Optima Kierland is no exception. Lush foliage and plants accent the exterior design, while inside the high ceilings and floor-to-ceiling windows enhance the size and sensation of openness in every living space. Designer screen shades and high-efficiency dual-pane glass help keep residences cool, and expansive private terraces perfectly showcase the inspiring mountain and golf course views. Encompassing 9.5 acres, with over 5.5 acres dedicated to open space, Optima Kierland is a true oasis in the midst of North Scottsdale’s urban core. The towers float over lushly landscaped grounds, where walking paths and sparkling water features help create an atmosphere of serenity. 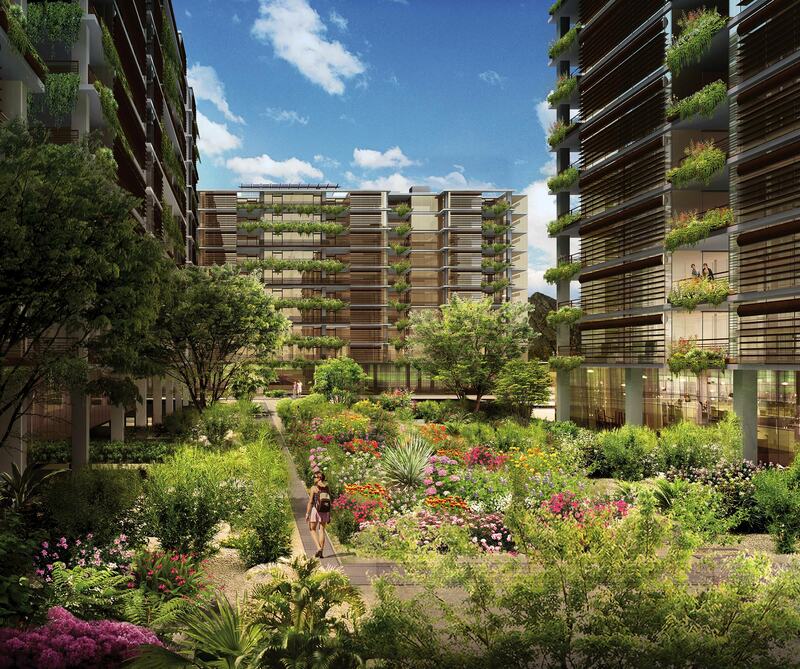 Signature luxury amenities, inspired residential design and innovative hanging gardens create a perfect balance between indoor and outdoor living. 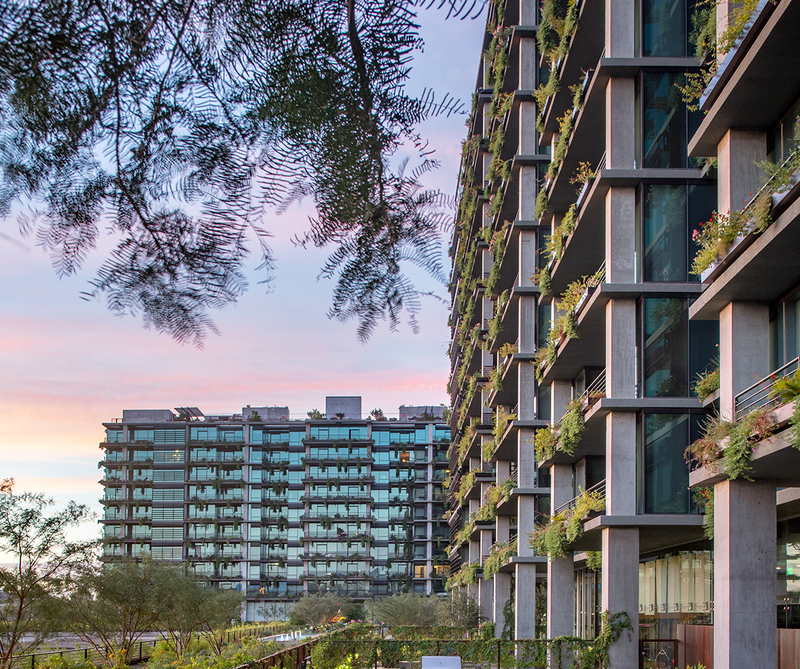 Building on Optima’s legacy of experience and innovations in technology and sustainability, Optima Kierland has been a worthy example for the City of Phoenix’s Green Construction Code adopted in 2011. Premier among the development’s next-generation design are the advanced building materials to maximize longevity, the unique vertical garden landscaping and an efficient shading system that not only keeps residences cool, but also affords increased privacy.